Whether you’re walking down the aisle or anticipating an engagement, be sure to look your best with these holiday makeup ideas. Pick your favorite, and find accessories to complement the look! Sometimes less is more. 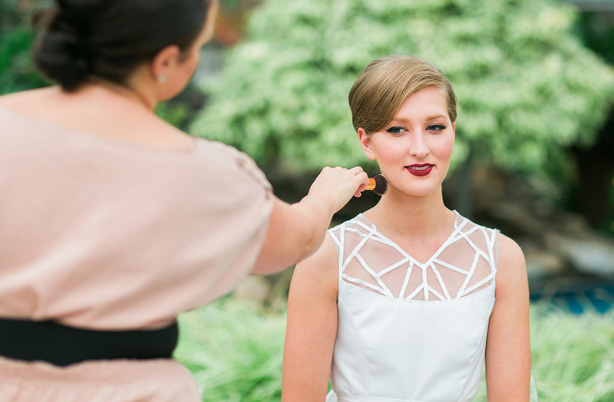 Every bride exudes a naturally gorgeous, happy glow. 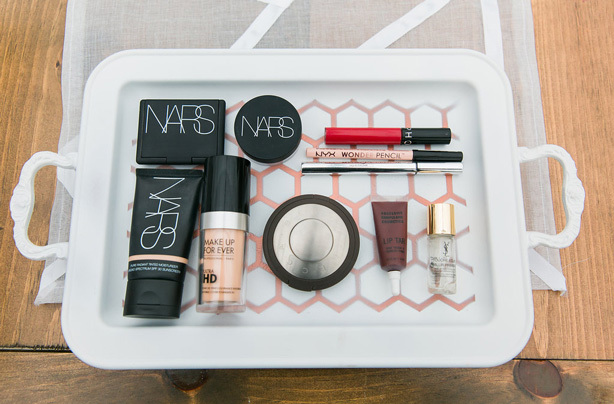 You’ll look your best with light mascara, ChapStick, a moisturizer, and oil-free pads. Stay warm, and your everyday winter essentials will keep you feeling great on your special day. Pair a simple veil or hair accessory and you’re good to go! Metallics are in right now. That means adding a bit of shimmering color to your eyeshadow or bronzer. Tie in gold accessories like statement bracelets and dazzling earrings— add a chic little shawl or cute belt to finish off your look. Warm tones of gold and bronze work beautifully with traditional holiday colors such as marsala, berry, aspen, coal, and cream. 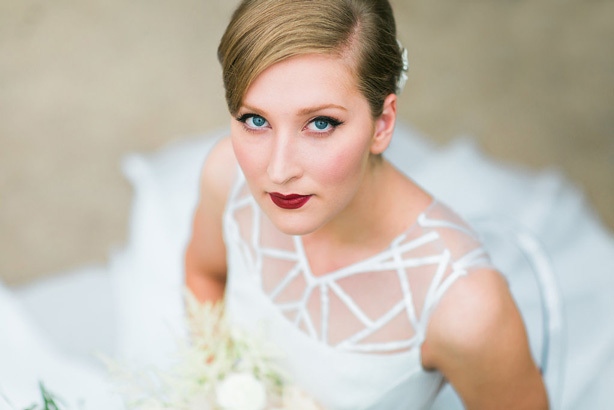 A red lip is a must for your winter wedding or engagement party. (Seriously, the photos are stunning.) Whether you choose holly red or a deep marsala, you can play off this rich tone with your bouquet, bridesmaids’ attire, or a bit of statement jewelry. Wearing red is the perfect way to evoke a theme of pure romance whilst tying in the cheer and warmth of the season. Grey and blue are trending big this year. The holidays are the perfect time to express wintery elegance with sparkling grey, blue, or white accents. Reflect this cool aesthetic by adding a bit of shimmer to your eyeshadow and nail polish. Choose glamorous earrings or a rhinestone-studded veil to complete the look. Shine on, girls! Tell us, which look best fits YOU? Find more style inspiration on our Instagram page, and check out our Pinterest boards for ways to make your holidays more sparkly.